French Vermouth means “White Vermouth”, which is actually “clear” Vermouth. All Vermouth starts as white, but it was the French who decided to develop it as a white alcohol, while the Italians developed it as a red. 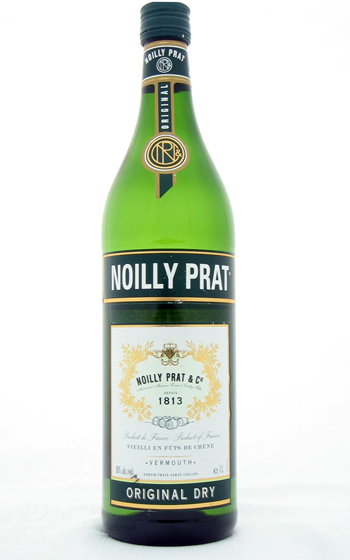 There are many brands of White Vermouth, but the signature French White Vermouth is the very fragrant “Noilly Prat”, made from 80% Picpoul grape, 20% Clairette Blanche. Its flavouring includes chamomile, coriander, cloves, nutmeg and veronica. The Noilly Prat vermouth spends part of its production process in casks that formerly housed Armagnac brandy. Generally, dry White Vermouths will have an alcohol content of 16%. Julia Child recommended keeping White Vermouth on hand as a substitute for white wine. This is good advice. White Vermouth is very good in seafood dishes; it helps cut through the fishy taste somehow. It is especially gorgeous when used to cook scallops with. A tidge of French Vermouth in the water can help reduce odours produced by members of the cabbage family when cooked. Store indefinitely at room temperature before and after opening. The Noilly Prat company started in 1813 in Lyons, and moved to Marseilles (they are now outside of Marseilles in Marseillan). All White Vermouth used to actually be a bit straw-yellow in colour, until more advanced filtering processes were developed in the 1940s. Noilly Prat is pronounced “nwa-yee-pra”.